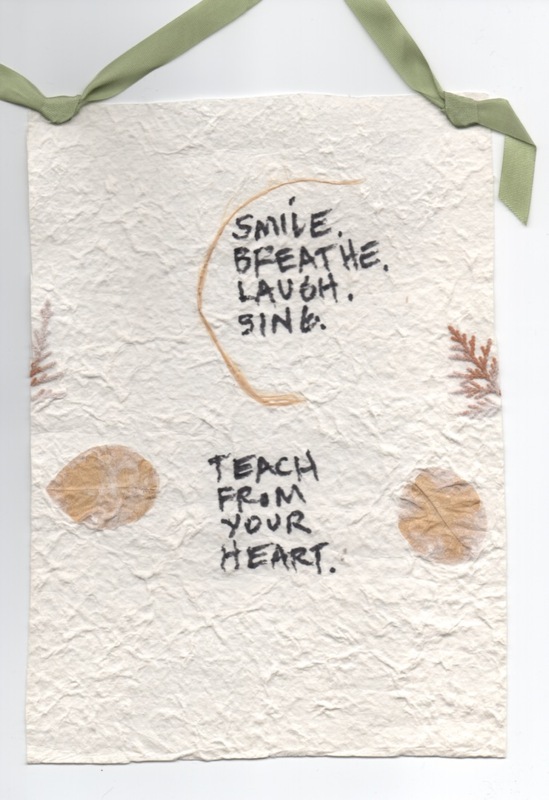 Marsha's calligraphy on Japanese rice paper. CBAS co-founder, post-modern dance pioneer and somatic educator Marsha Paludan died July 8, 2018 after a long period of ill health. Her indomitable spirit lives on in her countless students and colleagues in the fields of dance, theater and the Alexander Technique. In the early 1960s, as a graduate teaching assistant at the University of Illinois, Marsha co-created, with Joan Skinner, a new form of dance training called Release Technique. Early release work was a process of sensory and kinesthetic training and imaging exercises that, in Marsha’s words “freed the imagination in order to free the body.” Anna Halprin’s work was a great influence on Marsha. She later studied Ideokinesis with Barbara Clark, a student of Mabel Todd. The later, more defined release technique now informs dance and theater training throughout the US and Europe. During the 1970s and ‘80s, a core faculty that included Marsha, Nancy Topf and John Rolland held summer workshops that began in Colorado then moved to Vermont, Kansas and Minnesota. Participants and guest faculty at those seminal workshops were immersed in Release Technique, structured improvisation, Todd alignment and Contact Improvisation. Singing and live music were prevalent as well. During that time Marsha traveled regularly to teach and perform at the Theaterschool in Amsterdam, Dartington College in England, Sydney, Australia and in later years, Japan. 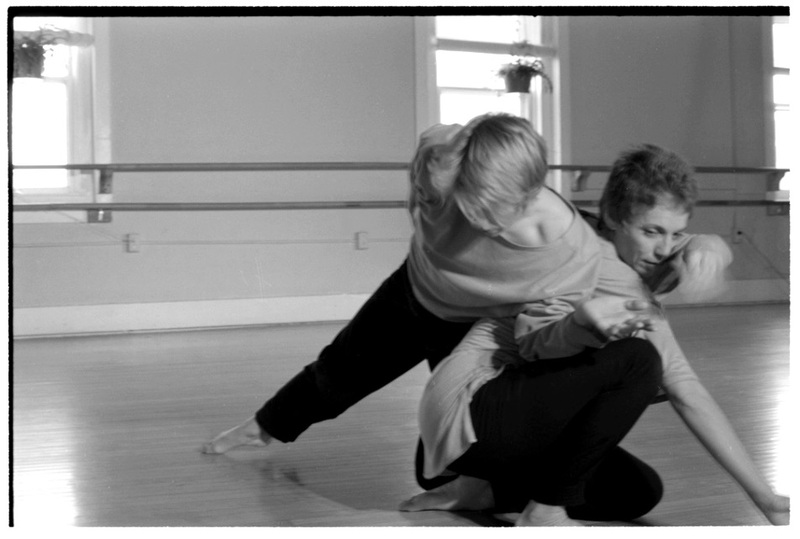 One of the participants at the Vermont Movement Workshop in 1981 and 1982 was a young dancer named Robin Gilmore. She, that is to say I, was an undergraduate dance major, and attending those workshops altered my dance career and put me on the path toward being a somatic movement practitioner. Marsha and I stayed in touch as we crisscrossed the globe. Gradually our relationship shifted from mentor-student to performance partners, co-teachers, dearest friends and confidantes. Our final performance together took place in a stone garden in Kyoto, Japan in 1999. In the 1980s, while raising two teenage daughters following her divorce, Marsha pursued a PhD in Theater at the University of Kansas. During that time Marsha met Marjorie Barstow, a student of F. M. Alexander, and knew immediately that the Alexander Technique was the missing piece to her vast body of work. Marsha apprenticed with Marj and often quoted Marj’s phrase, “You always move better with a smile.” While at KU, Marsha began her study of kyogen and other traditional Japanese theater forms. She also collaborated with painter Roger Shimomura on several multimedia performance art pieces based on Shimomura’s childhood memories of being held in an internment camp. Political theater had long been and remained an important component of Marsha’s work. From 1991 until her death, Marsha lived in Greensboro, North Carolina where she was a Professor of Theater at the University of North Carolina Greensboro (UNCG). There she met and married her soulmate, Jim Ritchey. In 2004 Marsha and I co-founded an Alexander Technique teacher training program in Greensboro. That program, known as CBAS, continues to thrive, and Marsha’s legacy continues. Much to the surprise of all who knew her, in 2008 Marsha became incapacitated due to several strokes. For the remaining years of her life, she was confined to a bed in a nursing home. Even under those tragic conditions, NOTHING could confine her light, love and humility, not to mention her ever present sense of humor. Marsha is with me, and many others, always.